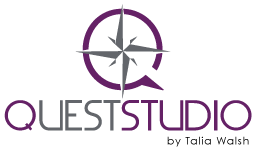 IS NOW AVAILABLE AT QUEST STUDIO! MYZONE is the most accurate wearable fitness technology available, allowing you to track your effort, measure your results, and be rewarded for your efforts. Your MYZONE MZ-3 unit measures your heart rate in real time, with color-coded tiles synced directly to the MYZONE unit on your chest, and awards you MEPS (MYZONE Effort Points) for the amount of time spent exercising in each intensity zone. Your MYZONE data is wirelessly uploaded to the cloud, whether you’re in the studio watching your efforts on our HD screen or working out at home, allowing you to track your workouts over time and measure your effort against other Quest MYZONE community users. Receive one-to-one coaching to learn how to use your monitor, set monthly MEPS goals, and be included in our group challenges for motivation. Learn more about MYZONE at myzone.org. Available in the studio or online at www.myzone.org for a discounted studio rate of $99! Enter Voucher Code: QSUS001 to receive your $50 discount!